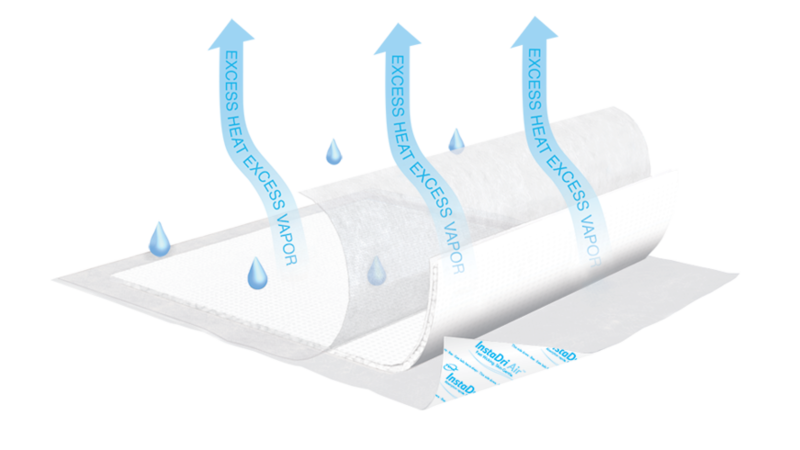 TENA® InstaDri Air™ Underpads are designed to provide maximum absorbency for urine loss. The specially designed core is soft, breathable and comfortable for the user. Excellent choice for pressure reducing beds. Not recommended for air loss therapy beds. 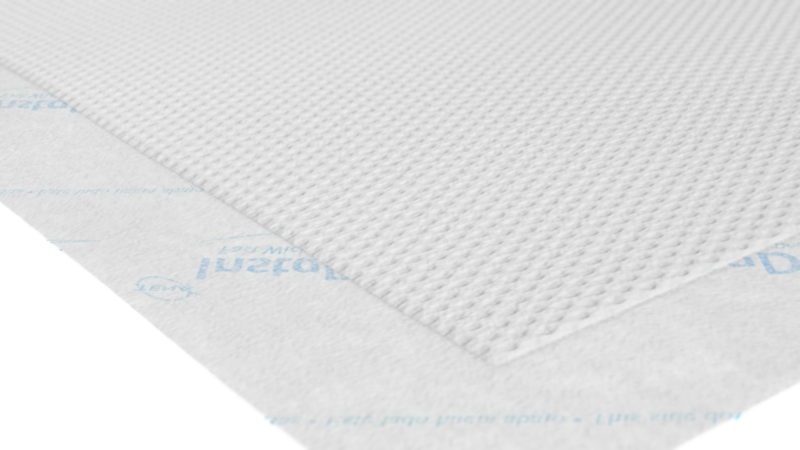 Special pin-hole structure allows an even distribution of fluid, which prevents clumps and blotches. Moisture lock controls odors and bacteria. 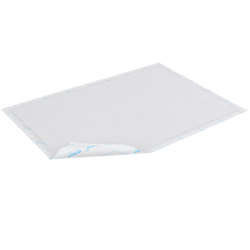 The breathable film prevents liquids from leaking through onto bed linens. Moisture vapor and excess heat can escape, helping to prevent skin breakdown. The strong nonwoven backsheet helps to maintain the shape and prevent bunching for more comfort. Great for use on gel, foam, or static air pressure reducing beds Not for use on air loss therapy beds.